L to R) Mandy Colleran, Julie Newman, Nickie Wildin, Sophie Partridge, Ju Gosling, Taharah Azam, Sonali Shah, Alex Cowan, Janet Bell and fiddler Laurel Swift. Folk in Motion was born in November 2011 at Cecil Sharp House, the HQ of the English Folk Dance and Song Society (EFDSS), following a development week organised as part of the EFDSS centenary celebrations. We became a Community Interest Company in 2013 (No 8609883); our Directors are Alex Cowan, Ju Gosling aka ju90 & Julie Newman. Led by artist Ju Gosling aka ju90 with support from Arts Council England and EFDSS, in November 2011 eight power wheelchair-using dancers developed and learned an adapted version of the choreography for three traditional English dances before performing them in front of an invited audience which included representatives from the Wheelchair Dance Sport Association (UK). All three dances - Gathering Peascods, Hey Boys (Hey Girls! in our version!) and Newcastle - are 'Playford' dances, and were published in their current form by Cecil Sharp in 1911. Playford dances were originally developed for the English court in the 17th century, and are based on elaborate figures and patterns. This makes them particularly suited for wheelchair users, who are able to make the patterns more explicit than ordinary dancers. Most importantly, they can be danced by power wheelchair users - many existing dances for wheelchair users are choreographed for manual chair users and require substantial upper body strength. 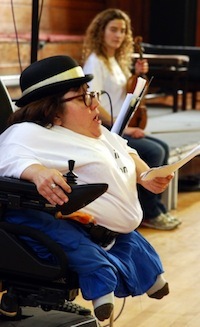 Now Artistic Director of Folk in Motion CIC, Ju Gosling explains: “We believe that everyone can dance. 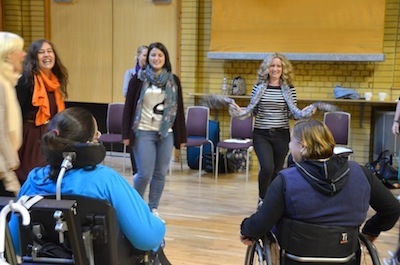 Folk dancing for wheelchair users is not new, but groups have previously had to adapt the dances for themselves as best they can rather than having a standardised choreography and score available." The dancers have named this adapted version of the dances 'wolk' dancing, complete with its own 'wolk-abulary'! Click here to read the Wolk rules. Folk in Motion is rooted in Canning Town in the London 2012 Host Borough of Newham, and actually developed from an exhibition: Ju's Canning Town Folk. 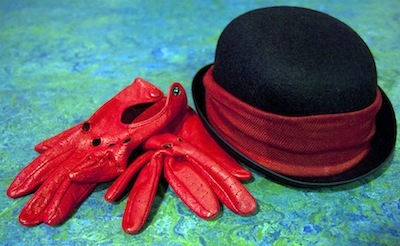 The exhibition explores the part played by local young people and youth workers in the founding of the Society, and was installed at Cecil Sharp House from 27 September to 4 December 2011 as part of the English Folk Dance and Song Society (EFDSS) centenary celebrations. In August 2011, when Ju was creating an animation of three Playford dances for the exhibition, she realised that with just a little more adaptation they could be choreographed for wheelchair users. Ju says: "A century on, it's good to see that Canning Town is still making its own unique contribution to the world of folk!" Folk in Motion is now liaising with the charity WhizzKidz to make wolk available to young wheelchair users; runs the East London Wheelchair Dance Club which meets on alternate Fridays from 5-15-6/15pm at Durning Hall in Forest Gate; and is working to promote wolk throughout the country. In January 2014 the company returned to Cecil Sharp House for a further development week; and on 15 February 2014 presented a free concert at EFDSS, Access All Areas!, to celebrate the new lift access to all floors. 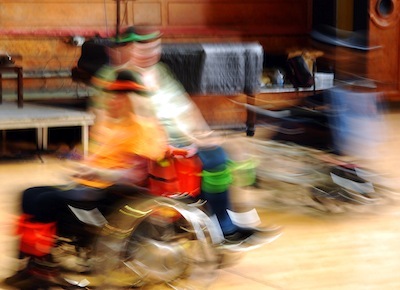 The East London Wheelchair Dance Club has also demonstrated wolk at the 2014 and 2015 Dance Around the World Festivals at Cecil Sharp House. The WhizzKidz youth team enjoy a wolk taster session in Birmingham in September 2012.